You can become the King of Wings with this recipe. Roll it out at BBQ’s, family gatherings and parties and trust me, the plate will be clean and everyone will be looking for more. Every time I cook this recipe I always think I am over catering and by the end of the night there is not a spare wing in sight. My favourite version is with the Harvey’s Kitchen ‘Sally’ Spice mix, but if you like it hot shake Harvey’s Kitchen ‘Bernie’ over the wings, If you like it a bit herbal shake out Harvey’s Kitchen ‘Hugo’. Wash chicken wings and allow to partly dry. You can break the chicken wings down into drumette, wingette and wing tips if desired, I like them as they are. Grab an old shopping bag and add the dry mix and chicken wings. Seal the bag with your hand or a tie and then shake, shake, shake. Open bag and check but you should have a bag of perfectly coated chicken wings. 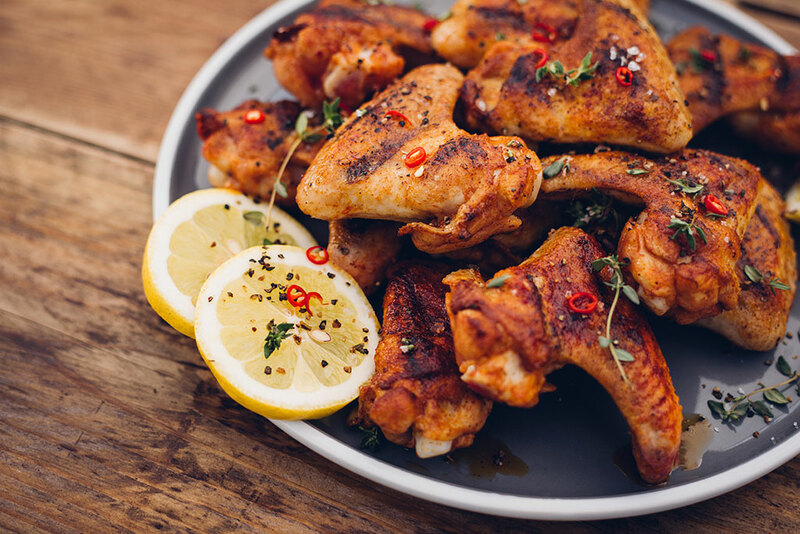 Lay chicken wings onto the baking paper tray and allow to sit letting the chicken juices absorb into the flour. This will give you a great finish. Heat oven to 200 degrees C and cook Chicken wings for 30-40 minutes, turn wings over half way. When cooked serve on large trays to the waiting crowds with sauces and dips to your liking.